In the Indian culture henna is used to decorate the body to celebrate special occasions. 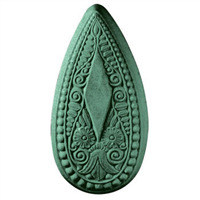 This teardrop shaped mold is a typical design used to adorn the body of both men and women. COMMENTS: The soap always releases perfect. I have to place in freezer for a few minutes depending on the type I'm making. The pattern always comes out with great detail. COMMENTS: i love this mold it does very well for bath bombs . bb comes out easy and clean. COMMENTS: I received my molds today and got started! This mold is just adorable! 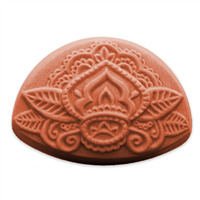 Large size soap and such beautiful detail! So happy with all the molds I've purchase so far!! This one is unique!! COMMENTS: Love the soaps design when using this mold. 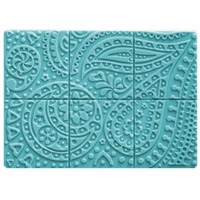 COMMENTS: This paisley mold creates the perfect soap bar! The details and design are awesome. 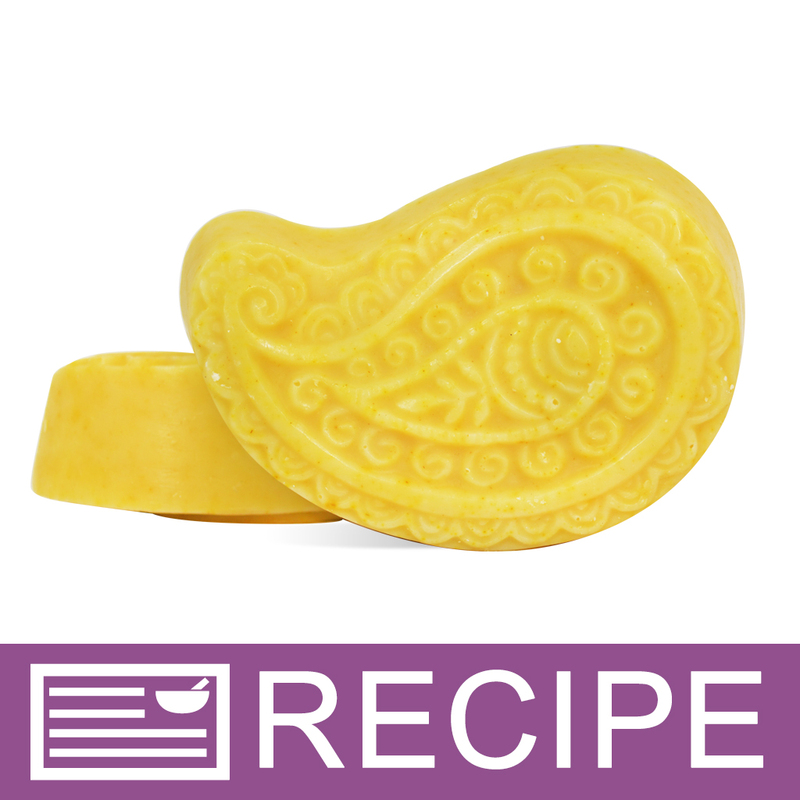 COMMENTS: I was looking for some more unique shapes for my MP soap and I thought this one looked adorable online. In person, I do like it and the shape creates a bar of soap that fits comfortably in the hand. However, depending on what color you make the soap, it can look a little "Grandma-y". So I'm still experimenting with it to find the perfect fit! COMMENTS: I have received a lot of compliments on this mold. I always have a little trouble unmolding these hard plastic molds and end up freezing the soap to pop it out. The soap turns out beautiful. COMMENTS: It feels like soaps from this mold fit into your hand perfectly. And it makes your soap look beautiful, I absolutely love this mold. COMMENTS: I love the details and the shape of this soap mold. Have not had a chance to use it yet, but it is a MW mold, so I know I am not going to be disappointed! 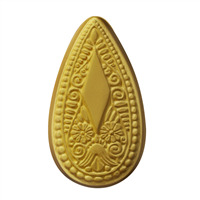 "Henna Teardrop Soap Mold (MW 258)"
COMMENTS: Unmolds easily, great quality and beautiful detail. Just love these molds.